The Pride Wendover Dual motor Petite Riser recliner chair has compact dimensions and a low seat-to-floor height to make it the perfect choice for the petite individual. 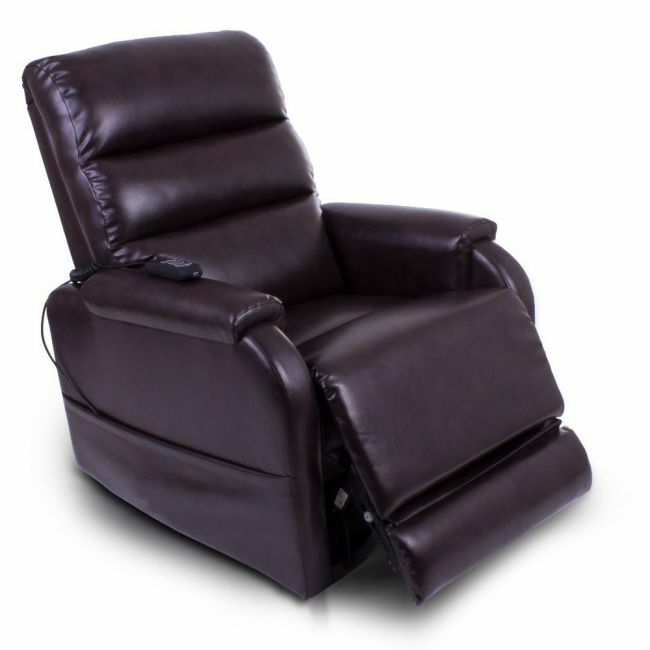 Upholstored in wipe clean brown vinyl the Pride Wendover Dual motor Petite Riser recliner chair will suit most decors. It has a 3 part waterfall backrest and an easy to use up / down controller. Seat Height 44cm / 17"